Dr. Catherine Woteki recently rejoined the faculty at Iowa State University as Professor in the Department of Food Science and Human Nutrition. From 2010-2016, she served as Chief Scientist and Under Secretary for USDA's Research, Education, and Economics (REE) mission area. 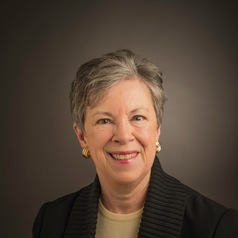 In that role, she developed the Office of the Chief Scientist, established the USDA Science Council, and instituted the Department’s first scientific integrity and open data policies. She was called upon to lead scientific delegations to China and the first Meeting of Agricultural Chief Scientists held under the auspices of the G-20. Dr. Woteki is an advocate for building the platforms needed to enhance domestic and international food and agricultural research.